For anyone who suspected that Tom Nook was a capitalist mastermind, Animal Crossing: Happy Home Designer provides all the proof you need. The game takes one of the much loved aspects of the Animal Crossing series (yes, home design, no points for guessing that) and spins it out into its own title. The player begins the game seeking employment at Nooks Homes, which provides the framework for all that design work you'll be doing. Unlike New Leaf, the game does not take place in real time - each in-game day allows the player to undertake a single project, either a request from a villager or a larger, public works project. Items that can be used to decorate the houses are slowly revealed to the player, each new project bringing new tools for customisation. While the purchase of amiibo cards provides yet more items and villagers, Happy Home Designer provides the player with a great deal of content. Once a few of the villagers have had their desires satiated Isabelle, the Mayors assistant in New Leaf, arrives to offer the player the opportunity to undertake larger building projects in the village. This is where the real work begins and the game opens up yet more items for designing the layout of a school, offices, restaurants, a hospital and various other buildings. 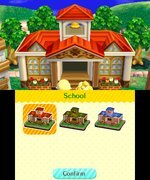 In addition to unlocking new content by interacting with villagers, each day the player is given the chance to study, for the price of some play coins, a Happy Home handbook. This gradually unlocks further abilities such as ceiling décor, choosing a layout and sound scenery. This last item is vital as it allows the player to change the music or ambient noise inside buildings. The default music is extremely repetitive, so the ability to change it for something else is extremely welcome, particularly during lengthy public works constructions. 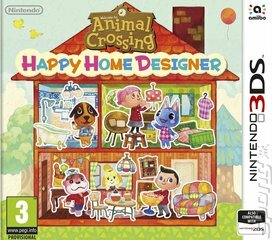 For those with a flair for design, Animal Crossing: Happy Home Designer is sure to hit the spot.